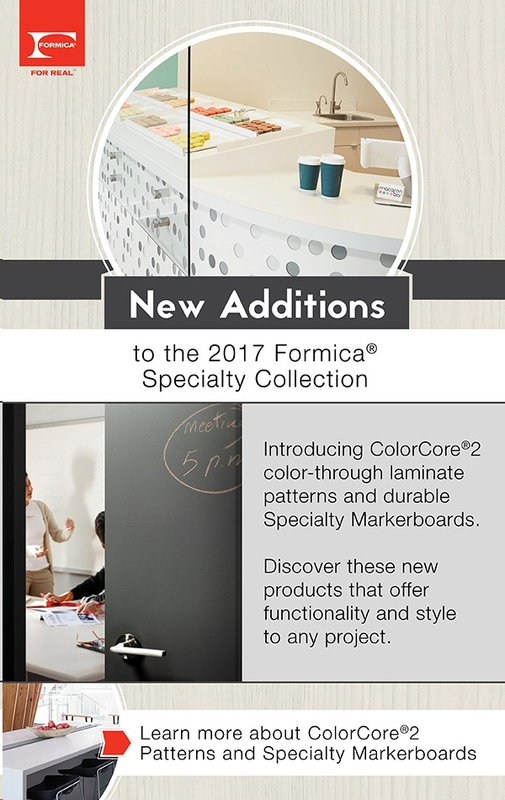 Introducing Formica® Writable Surfaces, a NEW collection of chalkboard and markerboard surfaces that draw you in—to draw on them. 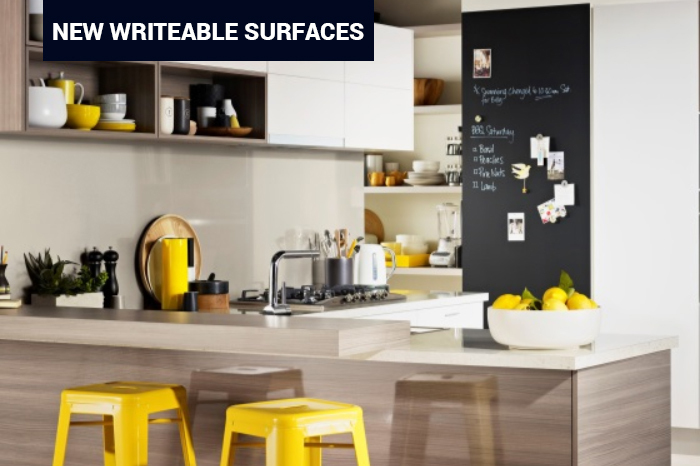 Bring your surfaces to life with a wide range of durable markerboard and chalkboard options in beautiful colors and inspiring patterns that are perfect for any room in your home. 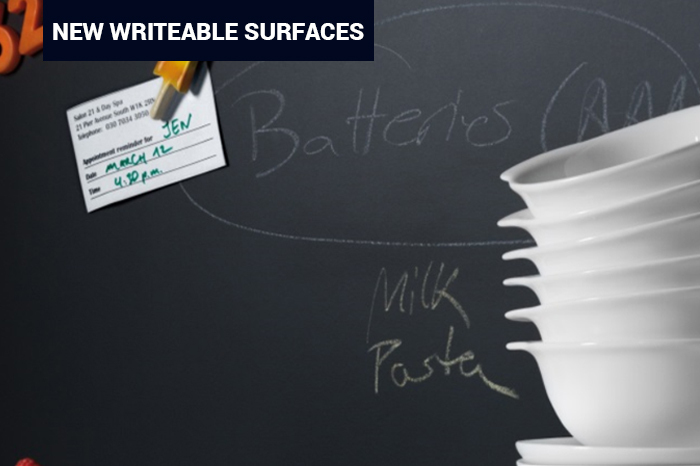 As practical as they are inspirational, these surfaces provide a new platform for you to stay connected, manage schedules, play a game or just create. 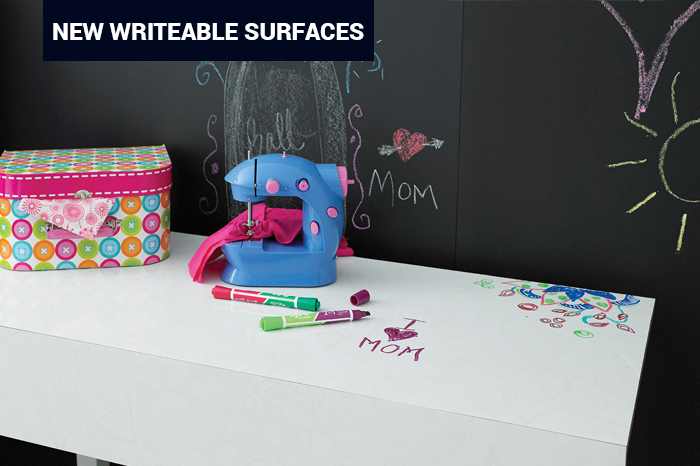 The new collection offers six markerboard and chalkboard designs including exclusive and unique patterns that give you the chance to add your own creative expression throughout your home. LoveWords features heartwarming light-gray words such as “family” and “cozy,” providing an understated way to make a statement, while delivering on the practical need to add reminders of what’s coming up. ColorBook is a life-sized coloring book pattern, allowing both kids and adults to fill in the lines, wipe clean and then start over again with new colors. 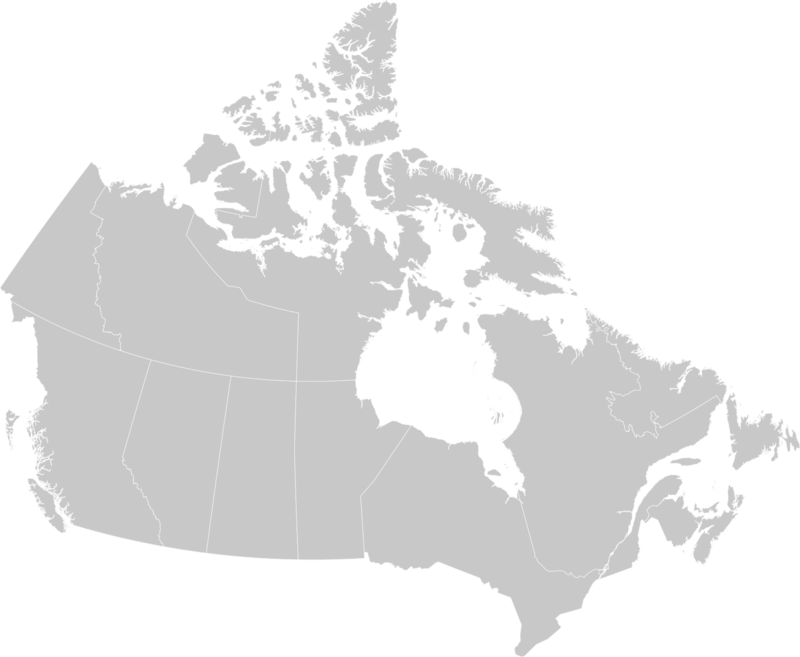 ImagiGrid offers a 1-inch grid pattern that can help anyone get organized within their home, providing an ideal way to make lists, a workout schedule, or map out a plan; anywhere from home gyms to playrooms to the end cap of a pantry cabinet. White provides a clean palette for any type of creation, from original artwork to a simple reminder written on a sleek white surface. 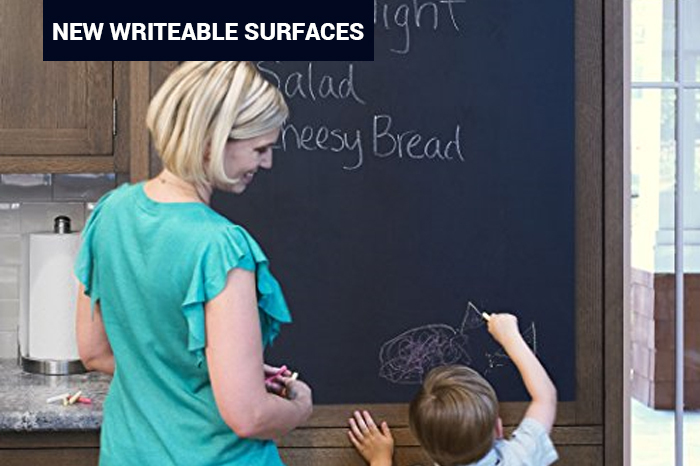 Black ChalkAble™ and Gray ChalkAble™ provide a dark matte finish; perfect for anything from writing schedule reminders on a mudroom wall, to balancing a checkbook on a home office desk, to helping a child learn how to write the alphabet, directly on the kitchen table.